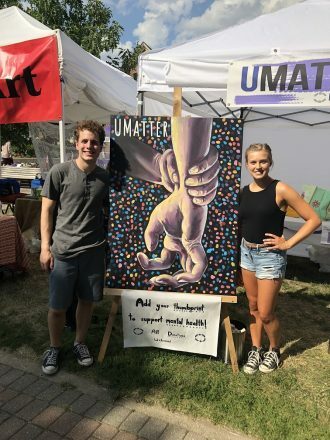 Ryan Silberg of Novi and his friend Lauren Had of Northville, both upcoming seniors at Northville High School, held a fundraiser at the Plymouth Art Fair to benefit UMatter, a teen suicide prevention program run through the Friendship Circle. Through their efforts, they raised a significant donation for UMatter as well as awareness about the wonderful and important services UMatter offers. The idea for the project came from Lauren. A suicide of a student at Northville High School last year encouraged her to act on her idea sooner rather than later. Lauren created a piece of art to raise awareness of mental health and teen suicide. Her idea was that people could donate to the cause then place a fingerprint on the artwork. 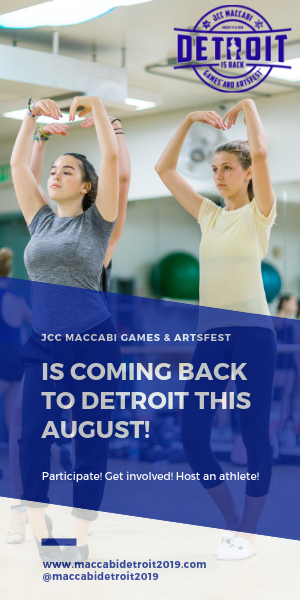 Ryan reached out to UMatter, an organization he became familiar with from his membership on the Detroit Jewish Fund Teen Board, and the two partnered with UMatter to have a booth at the Plymouth Art Fair from July 13-15. Lauren plans to donate the finished artwork to UMatter. Their efforts were very successful. They collected donations of more than $1,200 (consisting of mainly small donations) and raised awareness about the UMatter program. 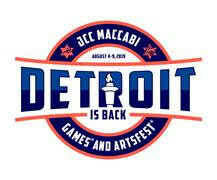 Both Lauren and Ryan are members of the UMatter teen board for next year.